Sonoma State University's Africana Multicultural Studies Lecture Series explores the relevance of presentations and discussions that focus on historical and contemporary topics relating to people of African descent. The lecture series includes a special lecture sponsored by the School of Business and Economics in Dr. Ronald Johnson on Nov. 7. Johnson will speak about his experiences as an African American and his experiences as a president of a historically black college. Lectures are Tuesdays, 12:05-12:55 p.m. in Darwin 102. Admission is free, parking is $5-$8 on campus. This lecture series is in honor of Dr. LeVell Holmes and his contributions to the Sonoma State University community. Janet Stickmon is currently a professor of Humanities at Napa Valley College. She is the author of Crushing Soft Rubies: A Memoir and Midnight Peaches, and Two O’clock Patience: A Collection of Essays, Poems, and Short Stories on Womanhood and the Spirit. She is also the author of the forthcoming To Black Parents Visiting Earth: A Guide to Raising Black Children in the 21st Century. Prudence Carter is the Dean of the School of Education at UC Berkeley. Previously, she was a Professor of Education and a Professor Sociology at Stanford University, and an Associate Professor of Sociology at Harvard University. Her work focuses on causes of and solutions to enduring social and cultural inequalities among social groups, especially in education and schooling. She is the author of Keepin’ It Real: School Success beyond Black and White, Stubborn Roots: Race, Culture, and Inequality in U.S. & South African Schools, and Closing the Opportunity Gap: What America Must Do to Give Every Child an Even Chance. Dr. Raquell Holmes is a pioneer in the use of improvisation and performance to advance scientific research communities. Trained formally as a cell biologist, Holmes works in the fields of high performance computing and computational sciences. As the founder of improvscience, she uses her training in human development and performance from to help scientists build collaborative learning and research environments. Howard Jordan has a professional background in law enforcement and rose through the ranks to serve as Chief of Police for the City of Oakland, where he worked to develop a community policing partnership with residents of Oakland. He currently works as a private investigator and shares his knowledge and experience in the law enforcement profession with others as a professor at Diablo Valley College and Merritt College. Chuck Rhodes has had a successful career in student affairs. He was the Assistant Vice President for Student Affairs and Enrollment Management at Sonoma State University until he retired in 2011, at which point he completed a master’s program. During his 30 year career at the university, he grew the residential life program and was a leader on many social justice issues. Ronald Johnson is the fourth President of Clark Atlanta University, a private, historically black university in Atlanta, Georgia. He earned the M.A and the Ph.D. degrees in economics from Stanford University. 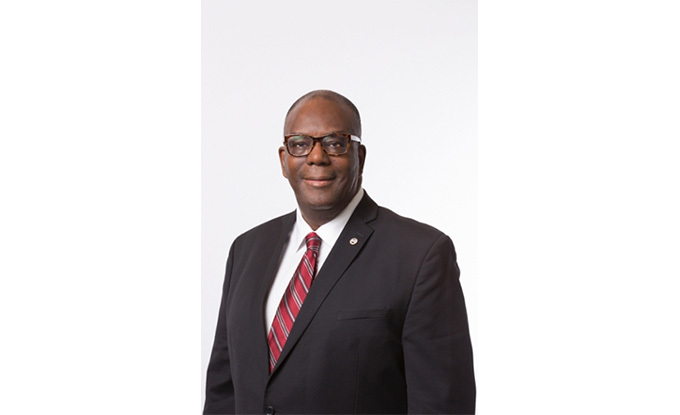 Prior to becoming the CAU president, Dr. Johnson was the dean of the Texas Southern University Jesse H. Jones (JHJ) School of Business and a full professor of finance since 2011. President Johnson built his career around teaching, mentoring and preparing future leaders in the investment, global financial management, international business, portfolio and securities analysis, economics and banking arenas. Maxine Craig is Chair and Professor in the Gender, Sexuality and Women’s Studies program at the University of California, Davis. She received her doctorate in Sociology from UC Berkeley. Dr. Craig studies social formations of gender and race through everyday embodied practices. She is the author of Sorry I Don’t Dance: Why Men Refuse to Move and Ain’t I a Beauty Queen? Black Women, Beauty, and the Politics of Race. Joanne Rondilla is currently a Visiting Professor in the American Multicultural Studies Department at Sonoma State University. Prior to coming to Sonoma State, Dr. Rondilla taught in the School of Social Transformation at Arizona State University, after receiving her doctorate in ethnic studies from UC Berkeley. She is the co-author of Is Lighter Better? Skin-Tone Discrimination Among Asian Americans.